If you don’t know what a sales hacker is, you might assume this article is about salespeople looking for shortcuts to success or a guaranteed way to close every single deal. Either way, you’re a bit off the mark. 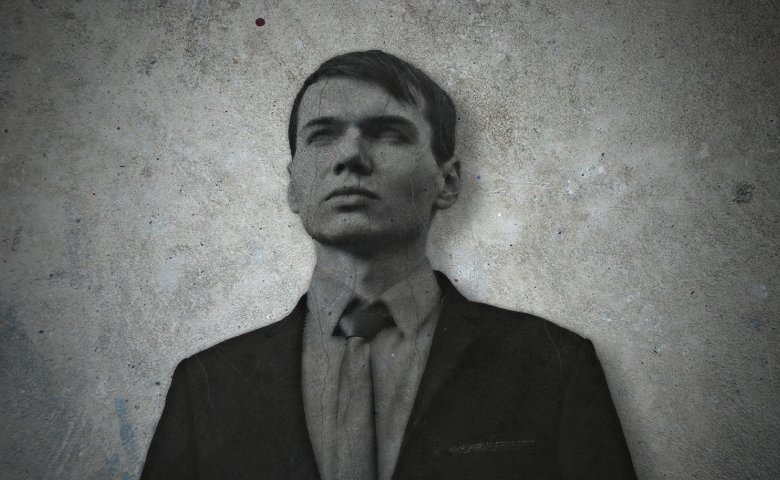 Then, what is a sales hacker, exactly? It’s someone who strives to optimize the sales process in every way, from the tools and products they use to the tasks and goals they prioritize. Sales hacking is about going above and beyond to achieve results for yourself and your team. Top sales hackers know that elevating the people around them is the key to maximizing their own level of success. If you want to improve your sales and offer more value to your team, here are nine sales hacking habits that will help you work and sell like a sales hacker. You’ve probably met a few sales reps who really hate dealing with data. They likely don’t spend long reflecting on their numbers at the end of the quarter (beyond putting together a mandatory sales report) and they never look for an opportunity to review their team members’ reports. This might not have an immediate impact on their ability to make sales, but it does impede their ability to become a sales hacker. That’s because a sales hacker doesn’t shy away from metrics. In fact, they go beyond measuring and tracking to obsessing over how existing data can be used to improve their results. 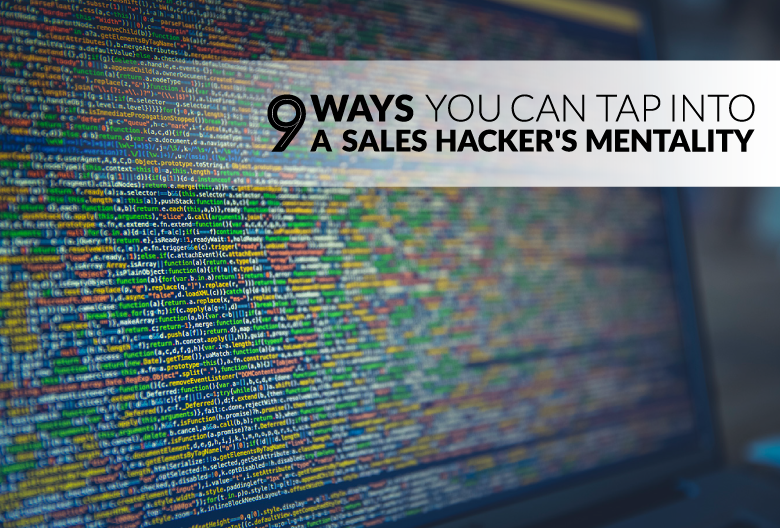 Top sales hackers know that metrics are what prove their success, motivate them to work harder, and provide crucial insights into any problems the team may need to address. Anyone who wants to optimize the sales process needs to spend some time pouring over the data – not just their own individual sales, but the numbers from the entire team. This allows you to address major bottlenecks that might be slowing down or limiting your business’ growth. Identifying obstacles in your sales process makes it easier for you to succeed as an individual, improves efficiency, and benefits your organization. Working smarter is better than working harder. The more you know about your target audience, the more effectively you can to tailor your sales techniques to match. A sales hacker would rather focus on qualified prospects than waste energy pitching to the wrong people. True sales hacking involves studying existing customer data to create detailed profiles of your ideal targets. 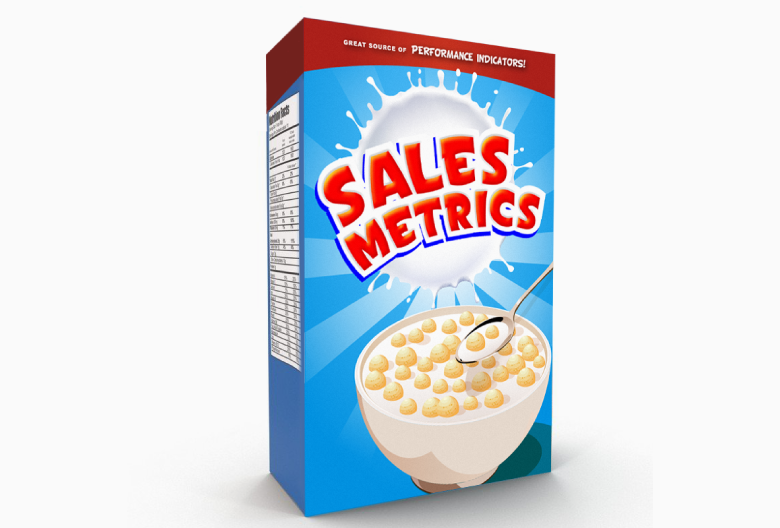 Just as sales hackers devour sales metrics, they’re always hungry for information about customer preferences and behaviors – especially since it can help close future deals. The better you understand the market and what drives buying decisions, the better you can leverage that information to your advantage. You can be serious about making sales and still have a little fun on the job. In fact, if you want to learn to work like a sales hacker, having fun can be a motivational strategy. 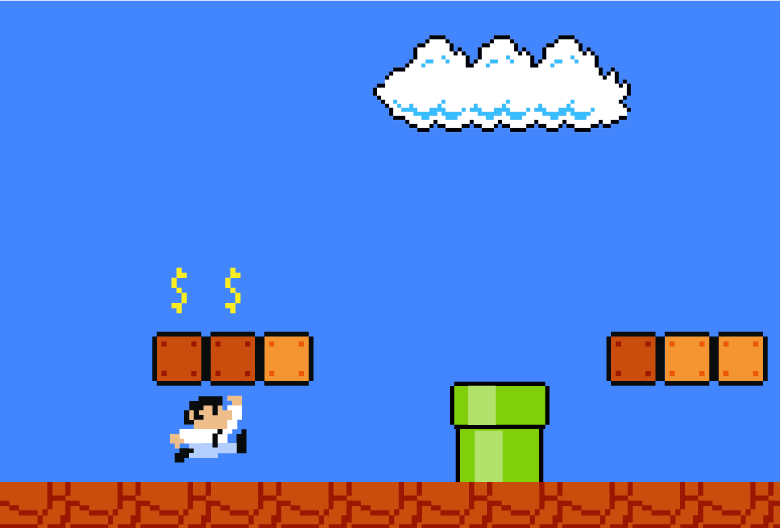 Gamification is the act of incorporating elements of games into other areas of your life. In the world of sales, this could mean setting a specific objective for each day, week, or month and rewarding yourself when you reach it. Whether your goal is to schedule five sales demos, close three new deals, or upsell by 50% over the next week, the key is to design a system that adds external motivation. 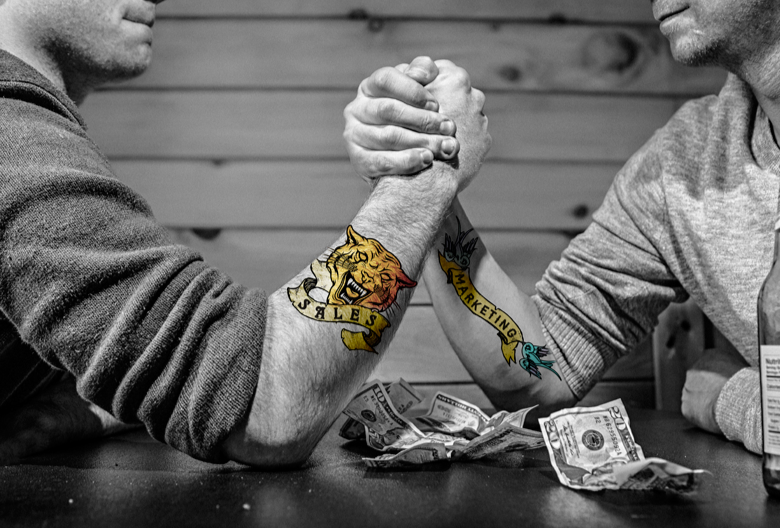 Considering the competitive nature of sales, it doesn’t hurt to encourage a little friendly competition in the office. Even if you work with a relatively small team, you can turn selling into a friendly competition with a sales leaderboard and a bonus or reward for the top seller each quarter. Gamification can also be used to spark camaraderie. For instance, your team could celebrate together whenever a large account is landed or the quarterly quota is met. There are many reasons you should ask existing customers for feedback. Communication is the key to all great relationships and you want to keep your customers happy, loyal, and generous with their referrals. Sales hackers recognize an additional reason to collect customer feedback: learning how to improve the customer experience, product, and sales process. When it comes to figuring where your sales process can be improved, your current customers are one of your most valuable assets. Start a dialogue with existing clients to find out what motivated them to make a purchase or subscribe to your service. Was there something in your pitch they found particularly compelling? Which product features or design elements are their favorite? You’ll be surprised at how much insight you can gather by asking a few simple questions. Marketing and sales don’t always see eye to eye, but sales hacking requires a willingness to collaborate. Top sales hackers appreciate and respect the marketing team's efforts. They understand that marketing and sales are most powerful when they work together. How can you enable the marketing team to achieve greater success? By opening the lines of communication. The more direct information marketing receives from the sales team, the better they can understand your challenges as well as customer pain points. Offer your marketing department access to key sales insights, either with regular reports to keep them in the loop or by using a collaborative CRM to streamline internal communication. This open flow of information allows marketing and sales to fuel each other’s success. Since replicable success is the key to growing any business, an ideal sales model is one with predictable results. The more dependable you become as a sales rep or manager, the more valuable you are to your team. Predictability allows you to make more accurate sales forecasts, instills confidence in your team members, and positively impacts your business’ bottom line. So, how can you develop a predictable sales process with repeatable success? Although it’s impossible to close 100% of the deals you pitch, there are things you can do to maximize your success rate. For example, diligently tracking your sales activity in a CRM platform and analyzing the results to figure out how periods of high earnings can be replicated. Even though you want to develop a consistent sales process with a reliable rate of success, you shouldn’t close yourself off to opportunities to learn new techniques or try out new sales tools. The best sales hackers strive for a balance between finding predictable, proven methods they can count on and sampling innovative tools and techniques that can boost efficiency. Getting stuck in your old ways is one of the biggest impediments to success. You can avoid falling into this trap by keeping an open mind, seeking out new information, and staying curious about the latest sales tools and platforms. If you find yourself selling a product or service you’re not passionate about, you might not be selling the right thing. Before your write yourself off as a poor match for your current team, consider how the product or service could be improved. Sales hacking isn’t about duping customers into purchasing mediocre products or subscribing to services they don’t need. Customers have access to online reviews and free trials, so it’s not realistic to get rich selling a subpar product. That’s why the best sales reps don’t promote products they don’t personally believe in. Your job is not to fool prospects about the value offered, but to demonstrate the applicable benefits of your service. If you think there’s room for improvement, do something about it. Talk to your team, talk to your customers, and do some social listening on Twitter and Facebook. Find out what people like about the product and what they want changed. What are your customers and your competitors’ customers saying on social media? What problems do sales reps encounter in making a sale? Once you have enough social proof and data to back up your claims, propose changes that you feel would turn your product or service into a top-of-the-line offering that anyone would be proud to sell. A sales hacker knows the value of maintaining an up-to-date CRM. Instead of treating sales data input as a chore to dread, they make it a habit to track everything in the moment. You can apply this to your own experience by recording customer data as it’s obtained and maintaining up-to-date logs of contact with prospects. The more information you record in your CRM, the easier it will be for you to reflect on and improve your sales process over time. Accurate data allows you to stay organized, communicate clearly with team members, and optimize how you engage with prospects at every stage of the pipeline. To get the most out of your CRM solution, you should be using a modern tool that works the way you do. For instance, if your business uses email campaigns to drive growth, a CRM like Propeller would be a great solution for your team. 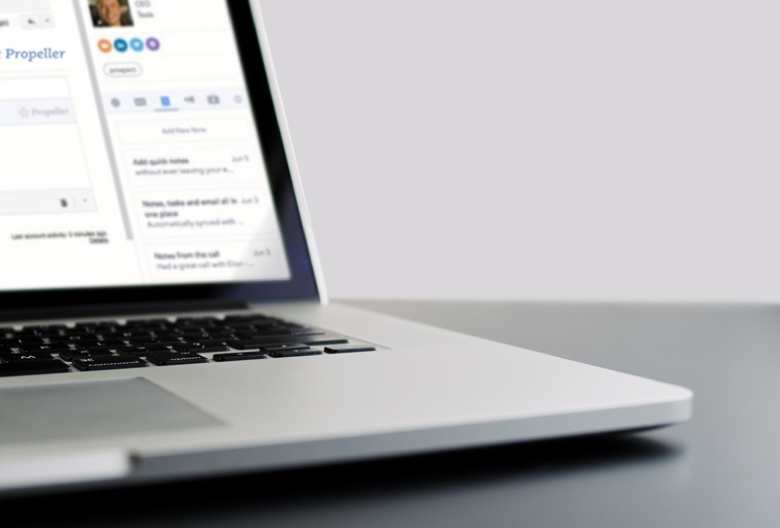 Not only does Propeller keep track of your contacts, campaigns success, and email communication, but it also allows you to sell directly from Gmail. Using the right tool for the job can make a huge difference in your ability to succeed. If you want to see how the right CRM solution can improve your sales process, why not try Propeller today? Start your trial to find out how Propeller can streamline your pipeline, keep track of sales data, and help generate new leads for you and your team.